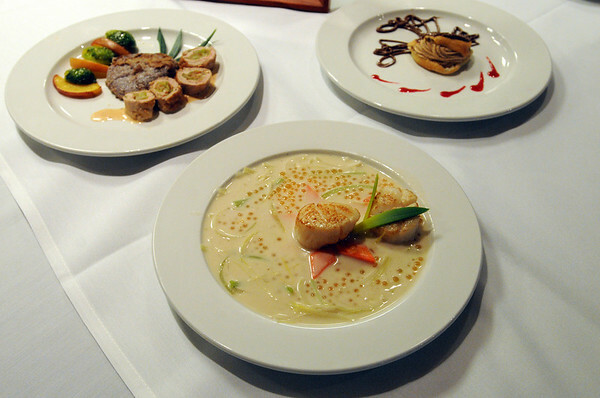 Peabody culinary students prepared their dishes while competing during the state Prostart competition in Boston. In the foreground is the appetizer, coconut and lime poached scallops with mellon caviar, left is the entree, seared pork roll-ups with saffron-orange cream sauce, and on the right is desert, cinnamon pita balls with orange surprise. Photo by Ken Yuszkus/Salem News, Friday, February 11, 2011.